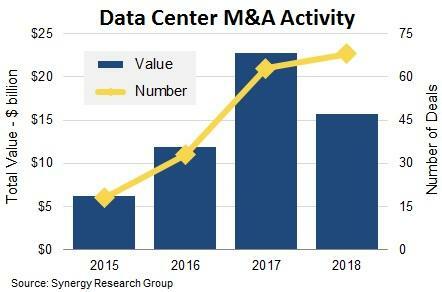 Mergers and acquisitions (M&A) activity within the data centre market continues to increase at pace, with the number of transactions increasing during 2018. According to new data from Synergy Research Group, 68 deals closed within the past 12 months, accumulating an aggregate value approaching US$16 billion. “There is a clear trend towards enterprises not wanting to own or operate their own data centres, as CIOs focus more on features and services that they can provide to their internal clients and less on the complexities of running data centres,” said John Dinsdale, research director at Synergy Research Group. But while M&A deals are climbing, Dinsdale said the total value of agreements that closed in the year dropped off from its 2017 peak. While this included five billion-dollar-plus deals, none approached the scale of the 2017 acquisition of DuPont Fabros by Digital Realty or the Equinix acquisition of Verizon’s data centres. Specifically, Dinsdale said the largest 2018 deal was the sale of a 25 per cent stake in Global Switch to a group of Asian investors, which was valued at approximately US$2.8 billion. The other four deals that were valued at a billion dollars or more involved acquisitions by Digital Realty, Iron Mountain, GTT and Brookfield Infrastructure Partners. “There were another 18 deals that were valued in the US$100 million to US$1 billion range, and 45 smaller deals that were each valued at up to US$100 million,” Dinsdale added. As a result, Dinsdale said the total value of M&A activity over the 2017-2018 period was over double the total for the previous two years. 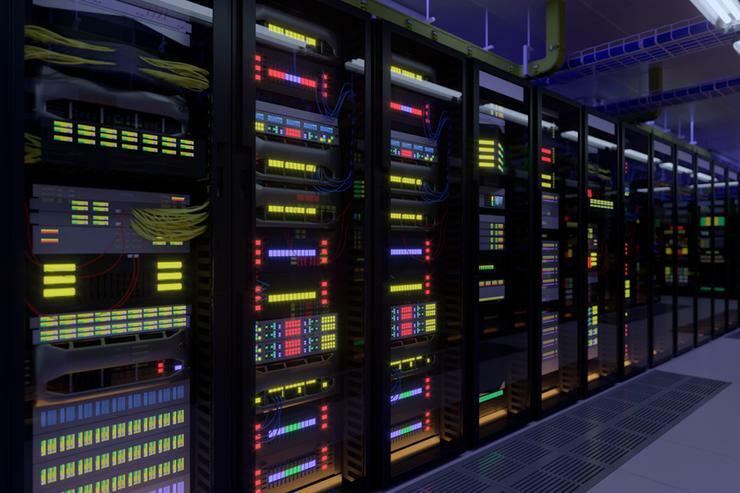 “As enterprises increasingly look to various outsourcing options, this is driving specialist data centre operators to increase both the scale and the reach of their data centre footprint,” Dinsdale explained. In assessing the 2015-2018 period, Dinsdale said "by far the largest investors" have been Equinix and Digital Realty, the world’s two leading colocation providers, spending in aggregate almost US$23 billion on acquisitions of data centre operators. “Both Equinix and Digital Realty have made major acquisitions in all four regions of the world,” Dinsdale said. Other notable data centre operators who have been serial acquirers, according to Dinsdale, include CyrusOne, Iron Mountain, Digital Bridge/DataBank, NTT and Carter Validus.